Your Next Stamp Fun Friday-Anything Goes! Hello! 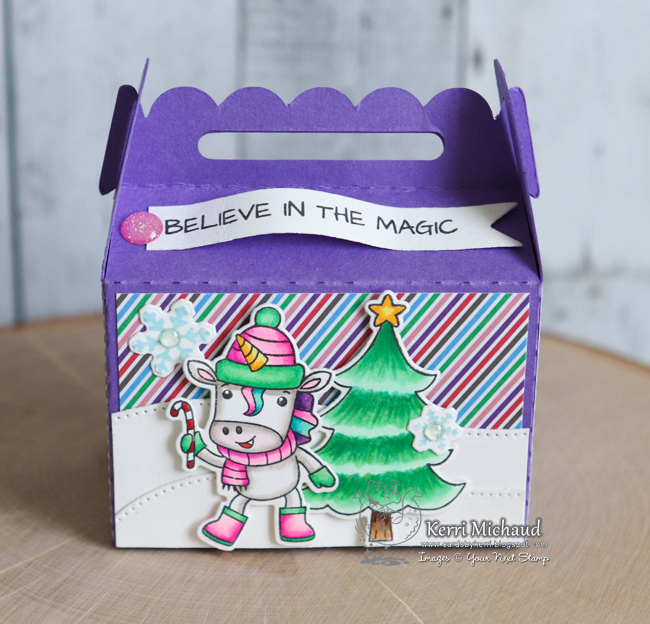 It's time for a new Fun Friday Challenge at Your Next Stamp and this time ANYTHING GOES!!! I decided to make a fun little treat box for a friend of mine at work. I know she'll want to give it to her Goddaughter because she adores all thing unicorns and purple! I cut the box out using my Silhouette and the Gable Box with Bow cut file. I layered some dp from the YNS Just for Fun 6x6 Paper Pack on all the panels. I then stamped my sweet images from Winter Unicorns Rock with Black Olive Ink and colored with Copics. 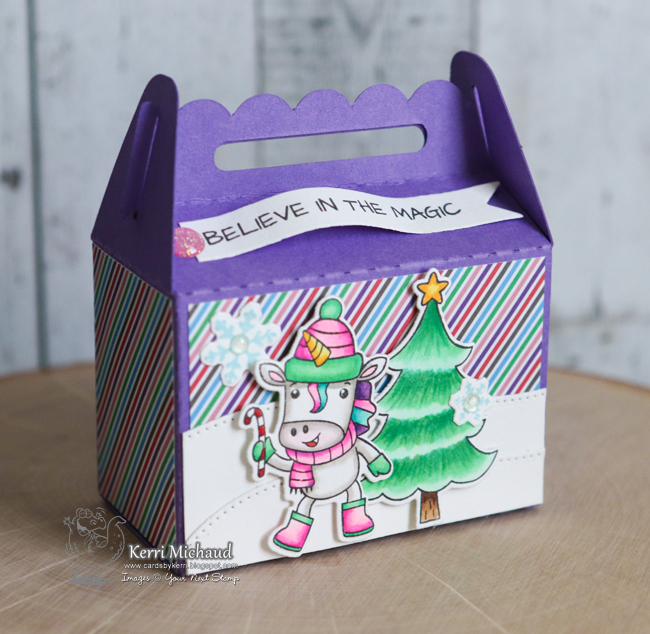 I cut them out with the coordinating Winter Unicorns Rock Die Set. I also stamped a couple of snowflakes from the set to add to my scene. For the snowy hills, I used the YNS Double Pierced Hills Die Set. I then stamped the sentiment and cut it out with a Fishtail/Banner Die Set One Die and finally, finished it off with some Sugar Rush Sparkly Gumdrops.